One of the great things about starting a bounce house for rent business is that it’s something almost anyone can do. Simply find a great place to purchase jumpers for sale, learn a little bit about how to run a business, and you’re able to start earning money. The longer you own your business, however, the more interested you are likely going to get in the business world and you will soon learn about something known as an LLC. But what is an LLC, and do you need to have one for your business? LLC stands for limited liability company. An LLC is defined as a type of business that has characteristics of both a corporation and either a sole proprietorship or partnership, depending on how many owners your business happens to have. Basically an LLC is a type of unincorporated association and is not considered to be a corporation, however it does include limited liability and is not something that you need to be a lawyer to understand. Why would you want to have an LLC? Some business owners find that having an LLC allows him to sleep better at night. This is because it is considered to be a legal entity that is recognized by your state government and is designed to help protect your assets should you happen to be named in a lawsuit. It also helps to create professional structure for the business that you are running and can give you more flexibility in choosing a tax structure that will fit your business. Likely one of the last things you are thinking about when you are looking at jumpers for sale is if you’re going to need to get an LLC. There are many reasons why you may want to get an LLC, and the simple fact of the matter is that many bounce house rental business owners do get one mainly because there is definitely a chance of injury when you have children jumping around in a bounce house. Having an LLC can help protect your business, and your assets, and is actually not that difficult to set up. There are many websites that will explain to you how you can set up an LLC legally without spending a huge amount of money. It may be something you want to look into. When you first start your commercial inflatable jumper rental business, expanding will likely be the last thing on your mind. When you first begin any sort of business the main focus is getting it up, running, and profitable. If you do your job right, however, sooner than you know your business will be ready to expand. This means more advertising, possibly hiring help, and one thing that you will definitely need more of – space. 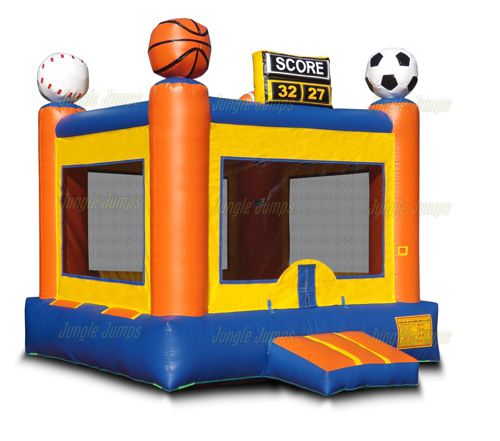 Most inflatable jumper rental business owners store their jumpers in their garages. These units, however, are definitely large and after a short amount of time you will find that you are going to run out of room to store everything. What do you do that? What kind options do you have when it comes to storing your inflatable jumper units? If you run out of room to store your units in your garage, there are a few options you have available. Some of the options are more affordable than others, so it is a good idea to list all of the options you have available and to research the financial repercussions of each option before you make a final decision. One option is to rent a storage facility. Storage facilities can be a great place to store your units, but it is a good idea to make sure that you read an inside, climate controlled unit in order to make sure that no damage comes to your inflatable jumper units. A climate controlled storage facility may cost a bit more than a regular storage facility that it would cost much more to replace all your units if they got damaged by heat. Another option is to rent a storefront. Some bounce house rental business owners choose to rent out a storefront and to work from that location. There are some benefits to this, including higher visibility for clientele and a more professional look. But you also need to remember that renting out storefront can be fairly expensive, so make sure that you have the income coming in to warrant making that choice. Your final option is to build some sort of storage facility on your land. If you have even half of an acre of land you have more than enough room to build a large storage shed. There are all sorts of different storage sheds you can purchase that are easy to put together, even if you don’t have much building experience. Remember: make sure you look at all of your options before you make a final decision when it comes to storing your rental units. 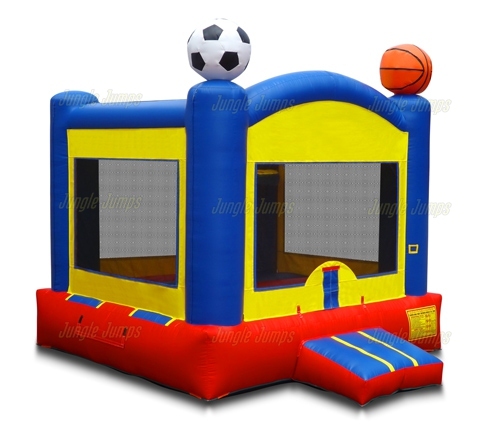 Once you’ve had your business for a few years you will begin to feel that it is time to do a bit of upgrading, and the best way to do that is to switch out your older bounce houses for new ones. This can bring a fresh feel to the business as the houses will look brand new and will have that new “smell” that comes with a newer bounce house. Nope, there’s nothing better than getting a new bounce house for your business, but that leaves you with one problem: what do you do with your older bounce houses? 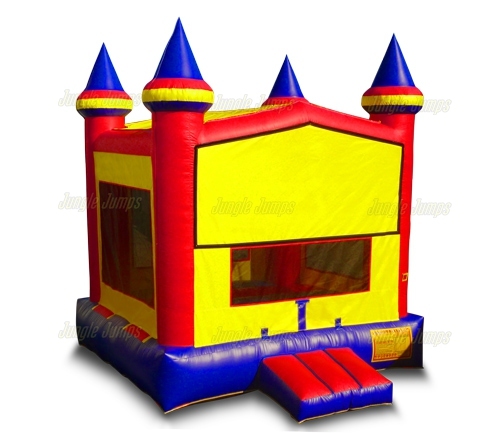 What most bounce house rental business owners do is to actually sell their older houses. Now it’s not quite as simple as putting up a “jumper for sale” sign on your lawn, as you would definitely want to make sure that whomever gets it knows how to use it, and that you are not held legally responsible for anything that occurs once someone else owns it. But first things’ first: selling it. One great tip is to set it up and to take a number of great pictures of the jumper while it’s up and running. Try getting pictures of children on it as that makes it seem much more real to people. The next tip? Where to sell it. Try selling it through online garage sales, such as through Craigslist, as this is a great way to reach a wide audience. You may want to sell locally so that you don’t have to worry about shipping it somewhere, as they can be very heavy. Once you’ve located a buyer, set up the paperwork. You will want paperwork that not only transfers the property to the buyer, but also that states that you are not to be held responsible for anything that occurs while the buyer owns it. Then, while you don’t have to, it may be a good idea to teach the new buyer how to use the jumper for sale that they have purchased from you. Offer to set it up with them once and to deflate it once. 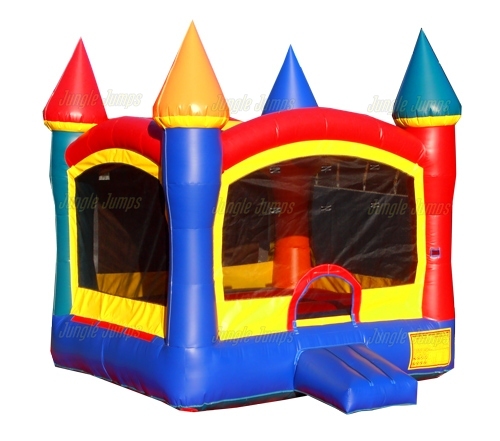 It’s best to sell it to a private owner, rather than someone who wants to start a business, as starting a bounce house business with a used jumper is often not a good idea.